Ear Crackling- What it is? Learn How to Get Rid of Crackling Sound in Ear! HomeHealth & WellnessEar Crackling – What it is? Learn How to Get Rid of Crackling Sound in Ear! Ear Crackling – What it is? Learn How to Get Rid of Crackling Sound in Ear! Are you worried about crackling, crunching or popping sound that you hear in your ear? If your ears feel strangely full and you start to hear these sound, don’t be alarmed! It is actually quite a common phenomenon, which rarely indicates a serious health problem. However, the main problem with popping or crackling sound in ear is that it is highly annoying. Due to that sound, the person who is suffering cannot sleep, work, and is simply stressed out. Find out what are the possible causes of a crackling or popping sound in ear and how you can get rid of the problem. 1. What is Crackling Sound? 2. What Causes Crackling Sound in the Ear? Ear crackling or crunching sound in the ear is a common abnormality that occurs within delicate structures of the ear. The crackling sound in the ear is experienced by most of the peoples. People think that it occurs because of external factors stimulating in the hearing system. But actually, it is a sensation of sound causing distress, lack of sleep, anxiety, poor performance at work and decreased mood, etc. Sound in the ear when moving jaw is also a major issue. Crackling sounds are crunching sounds that are suddenly heard by you but the truth is this noise actually doesn’t exist outside. In medical terms, we call this annoying sound as Tinnitus. This term often applied to those who experience abnormal sounds in the ear like whistling, ringing, popping, clicking, etc. Are you afraid of crackling sound that seems annoying in your ear? You might be thinking- What it is? How it causes ear pain? Can it seriously affect our ear? If so, then this article is truly for you. Keep reading to learn everything about Crackling sound in ear its causes and remedies to get rid of it. It is considered as a leading cause of crackling sound in ear when moving jaw. Ear wax dries and covers the eardrum which is the vital part for sound conduction. When ear wax is on the eardrum, it can lead to crack like vibration. It is an abnormal condition that occurs in the small tube connecting the ear between the back of the nose and the throat’s upper part. The function of the Eustachian tube is to circulate air within the middle ear in order to maintain the balance between internal and external pressure. Eustachian Tube is triggered during altitude changes. In case of any respiratory infection or allergic reaction, there is an accumulation of fluid that creates extra ear pressure. This leads to the crackling noise in the ear. It is characterized by severe pain or tenderness in the jaw. We use our jaw muscles to chew food, speak and breathe. All these actions depend upon the Temporomandibular joint. Though the exact causes of TMJ are still not known yet genetics, arthritis and jaw injury can cause TMJ. The inner ear is so crucial as it not only helps in hearing world around but also helps in our balance maintenance. Cochlear and vestibule structures perform these actions respectively. This Cochlea has sensory hair cells that conduct sound and send signals to the brain. These hair cells are disrupted causing hearing loss. Whenever any foreign particle enters in the middle ear, it has a complete potential to rub against the eardrum. It leads to the crackling sound. It may also happen due to insect found in the ear canal. Constant exposure to loud or sudden noise can damage your eardrum causing popping sounds or even complete hearing loss. Here are some GIFs to give you a clear picture of noise trauma. There are a variety of prescribed OTC medicines and drugs that can cause damage to the auditory nerve, responsible for hearing. These medicines are called ototoxic. If an appropriate amount is taken then it can even cause permanent hearing loss or tinnitus too. If you notice thumping sound inside your ears, you’re not the only one. This thumping sound is called pulsatile tinnitus. You may see that the beat of thumping sound matches your heart beat. There are a few unique reasons for thumping sounds. Alteration in blood-stream is the most widely recognized reason. Blood flowing in the ear more rapidly can cause thumping noise. Exercise, pregnancy, and overactive thyroids would all be able to cause these blood-stream changes. Sometimes thumping sound is ordinary and does not require treatment. But in some severe cases, you should concern a specialist. You are now aware of the causes of hissing sounds in the ear. Now it comes the turn for its treatment. There can be two ways to get rid of these popping sounds. Treatment may differ, it totally depends upon the kind of ear disease. In every case, it is great to communicate with your specialist and get suitable treatment for the condition. Antibiotics will help extraordinarily in settling the condition. However, there are several things that you can do it on your own. Do not wet infected ear, remove earplugs, earrings from the infected ear. Take suitable painkillers under the direction of your specialist. There are likewise some natural ways to get rid of the infection. Some of them are olive oil, garlic, onions, basil, salt, tea tree oil, apple juice vinegar, and so on. Ear wax can be removed using an ear wax removal kit under the eye of the trained medical professional. It is adviced not to remove ear wax using a cotton swab. This is due to the reason that it can further move into eardrum causing damage to it. You feel that your ears are fulls. Feel Pain in either of the ears or in both. The different sound in ears like ringing, hissing (Tinnitus). Different popping sound in the ear. Trouble in maintaining the balance. 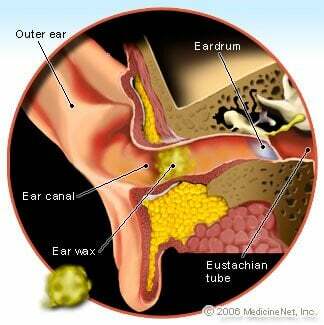 The Treatment of Eustachian Tube Dysfunction is done with OTC medication, prescribed drugs. Antibiotics, Decongestants, Anti-histamines, Nasal douching are some of the treatments of ETD which can help us to tackle unwanted and annoying noise known as crackling sounds. 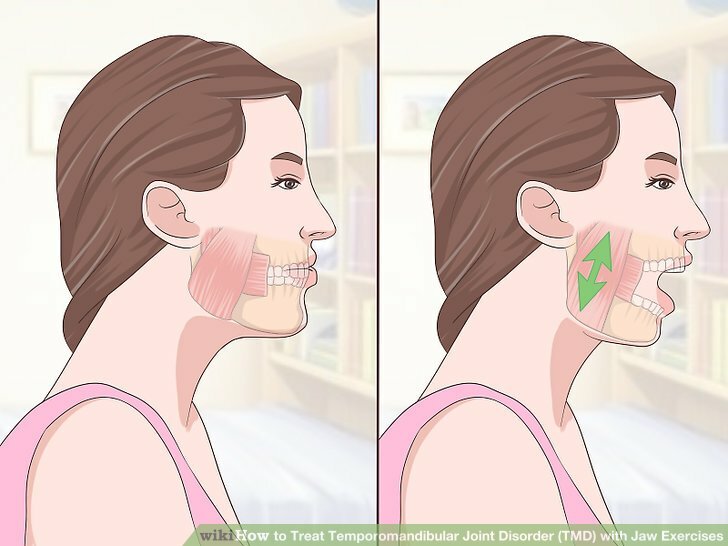 TMJ treatment includes Medications, Surgeries, and Therapies. Try to avoid the affected ear wet. Remove earrings, hearing aid, or any other accessories during the ear infection. Painkillers may help but should only be taken under doctor advice. There are many people who are sensitive to pressure changes in the air. Swelling of the ear canal can cause hearing loss. This may lead to crackling sound in the ear. Stretching the jaw can pop the ear. The popping of ear can equalize the pressure and thus opening the passageway. Sometimes, a yawn is not enough. Even after applying stretching, you may feel that if your jaw stretches a little more, you may open the passageway. In such cases go for Valsalva Maneuver. Squeeze your nostrils together forming a seal. Draw a normal breathe and try to gently blow air out. It will help to pop the ears. Don’t force the air just harder. It is a simple exercise to apply pressure on eardrums. It will put pressure on the external eardrum rather than internal. Many people do it regularly as a daily exercise to maintain their health. Place your fingertips behind your head such that your fingertips touch the base of the skull. Let your hands reach over to where the palm cups the whole ear. Gently press your hands against your ear in such a way that they press ear flat against your head. You should feel a slight pressure on eardrums. You should hear a popping sound. Yawn – It helps to open the eustachian tubes. Swallow – It activates the muscles that open the eustachian tube. Frenzel Maneuver – Pinch the nose closed and use the tongue to make a clicking or “K” sound. Earplugs – It regulates the flow of air from the environment into the ear. EarPopper – It is a prescription device that can help to open the eustachian tubes. It occurs when the person eustachian tube becomes obstructed or is not functioning properly. The tube is a small canal that works between your nose and your middle ear. It also equalizes the pressure in your middle ear. If your eustachian tube becomes clogged, you might feel pressure and fullness in your ear. Some people experience muffled hearing and ear pain. Ear congestion problem can also be caused by problems in your middle ear that affects the eardrum also called the tympanic membrane. Although, any condition which affects your sinuses can lead to ear congestion. It is a condition in which air pressure in your middle ear and the air pressure in the environment are out of balance because of stress exerted on your eardrum and other middle ear tissues. People experience airplane ear when the flight takes off or when the flight is landing. This is because fast changes in altitude cause air pressure changes and can trigger airplane ear. Some people experience constant clicking and crunching sound in ears and that is so loud it would wake people middle of the night. It can be caused because of water in the ears from swimming. It is a sign of abnormality that occurs within the delicate structures of the ear. According to Scientific Research, food plays a very vital role to recover from cracking and unwanted sounds in the ear. Therefore, it is preferred to build a healthy lifestyle that can be good for your ears too. Try to avoid below mentioned food. Foods raising cholesterol in the blood: Animal-derived foods contain a large amount of cholesterol. So, patients of ear hissing must take protein diet more than this diet containing cholesterol. Preferred Diet: Vegetables, Flour, Soya, Beans, etc. Foods increasing blood sugar: When the level of blood sugar rises, it increases the amount of insulin in the blood. This may lead to the occurrence of unwanted noise in the ear. Therefore, it’s important to prefer a diet that contains the right volume of insulin to reduce the absorption of carbohydrate and sweets. Foods containing caffeine: Coffee, beer, alcohol contains a high level of caffeine which can increase blood stimulation. It can cause crunching sounds in the ear. In addition to dairy-rich products, limit salty foods too. Experiencing a crackling, popping sound in ear is quite a common phenomenon as some statistics say that even 25% of people deal with this issue. In some cases, the cause remains unexplained in spite of medical tests or any consultations. If home remedies, change into your daily life, and relaxation technique does not work, go to your audiologist and thoroughly describe them your symptoms. The most important thing is to act as a popping or crunching sound in ear may appear to be an insignificant problem for individuals who have never experienced that, but it can be really annoying and irritating. When it is permanent or frequent, the person who is suffering often has difficulties with everyday tasks and activities. Find the primary cause of your problem, and then find the best therapy that will help you get rid of the issue so that you can start to lead a normal life once again. Hope you have learnt enough about crackling sound in ear and how to get rid of it. If you are suffering from this, try above mentioned remedies as per your causes. If the problem exist, consult your doctor immediately and get best treatment to get rid of this. You can also call on our toll-free number 1800-121-4408 to talk to our expert.